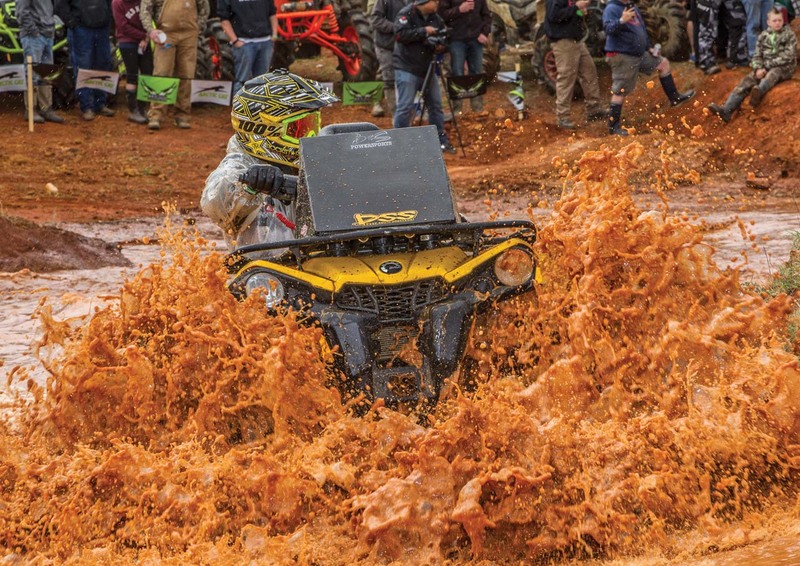 The 2016 High Lifter Products ATV Mud Nationals is in the books and it seems this annual event is becoming a pilgrimage for the mud faithful. 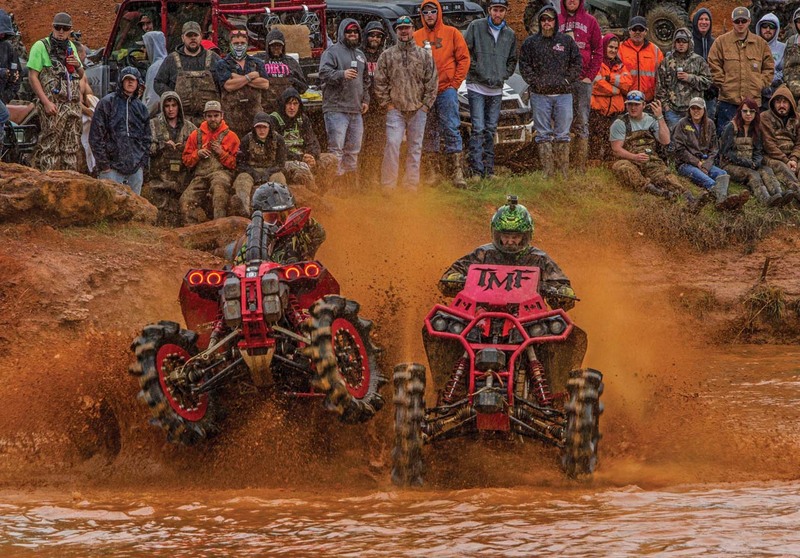 Year after year, for the last 14, the largest off road mud riding event held in the USA rolls into the sleepy little town of Jacksonville, Texas. It was a simple gathering started by High Lifter Products to get some friends for a fellowship ride. It was organized to experience the joys of riding together in the trails of Mud Creek Off Road Park. 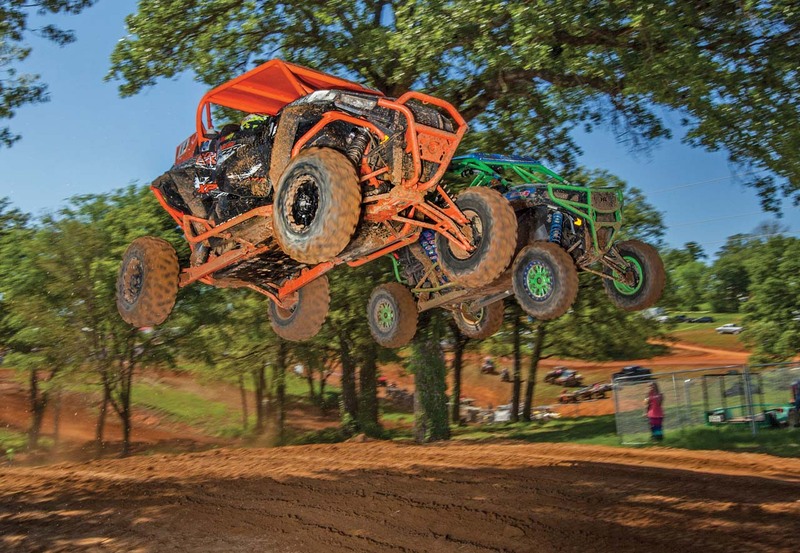 Since the beginning, this event has grown every year and now you can not only ride over 4000 acres of trails but also compete in anything from mud pits to UTV MX and show off your hot rod for all to see. This was another big year for the High Lifter Products Mud Nationals crew as there were several great changes and many new vendors in attendance. Looking over the main vendor area at the front of the park, we noticed that not only was the space for vendors greatly expanded but there were also some new faces in the crowd. Suzuki had come to the event to test the waters as they hope to get the King Quad and the mudding crowds together once again. Arctic Cat not only had a huge vendor row presence but they sponsored the racing in the Mudda-Cross as well as the Poker Run. It’s good to see these brands fighting for your attention as it means our industry is alive and well. High Lifter is always thinking about the events they have scheduled and ways to make these events better every year. 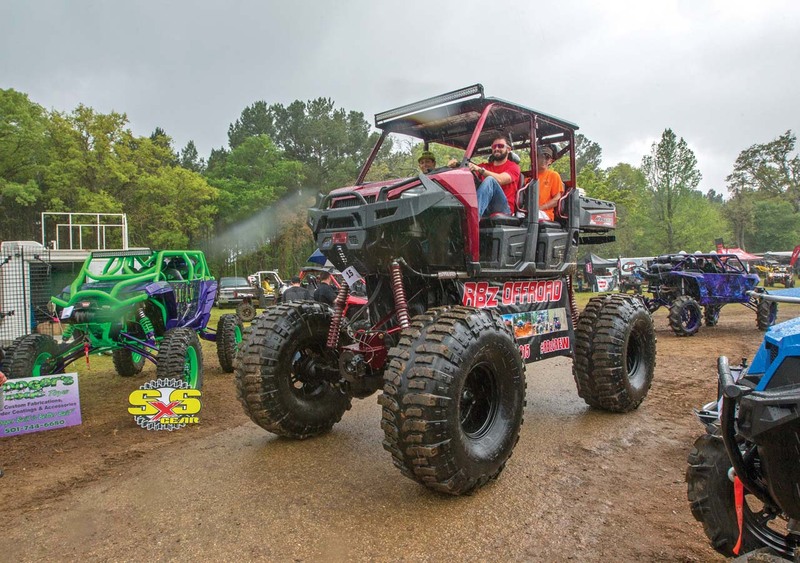 Some of those changes came to a show of some of the wildest custom rides in the woods. The Bad 2da Bone lets builders with creative minds collide for a chance to take home a $500 cash prize. One exciting and well-received change was the contestant’s ability to drive up onto the stage and describe their machine to the crowds. This would also be good for any of their sponsors and family or friends in attendance. After driving off the stage, contestants would park nearby so voters could get up close and personal before casting a ballot. It’s a pretty cool way to give each contestant an individual spotlight for the hard work. The ability of these fabricators is something to be admired for sure. 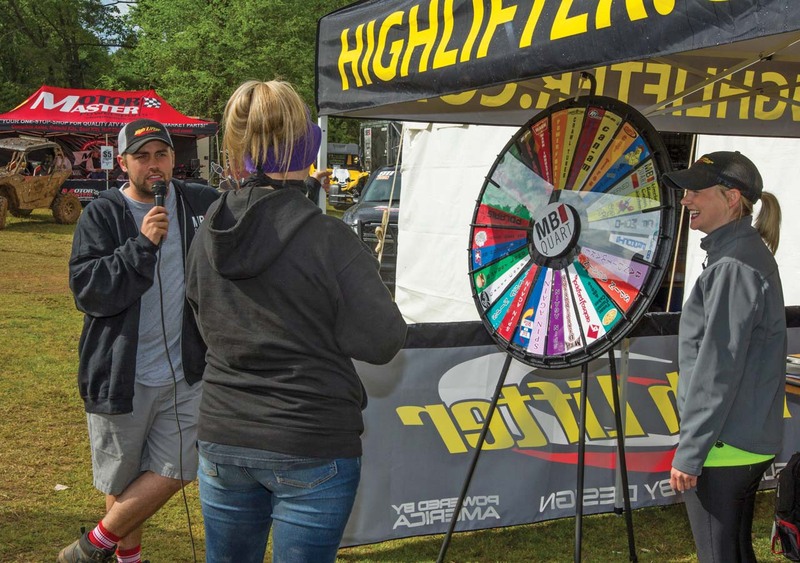 Three times a day attendees had a chance to join the prize wheel spin off. People lined up sometimes an hour early to get in the front of the line as prizes were only given away for the first twenty minutes. MB Quart was the sponsor of this event and many of the vendors gave up nice prizes as well. This “Wheel of Fortune” of sorts was a huge hit and people gathered all day each day to try their luck. 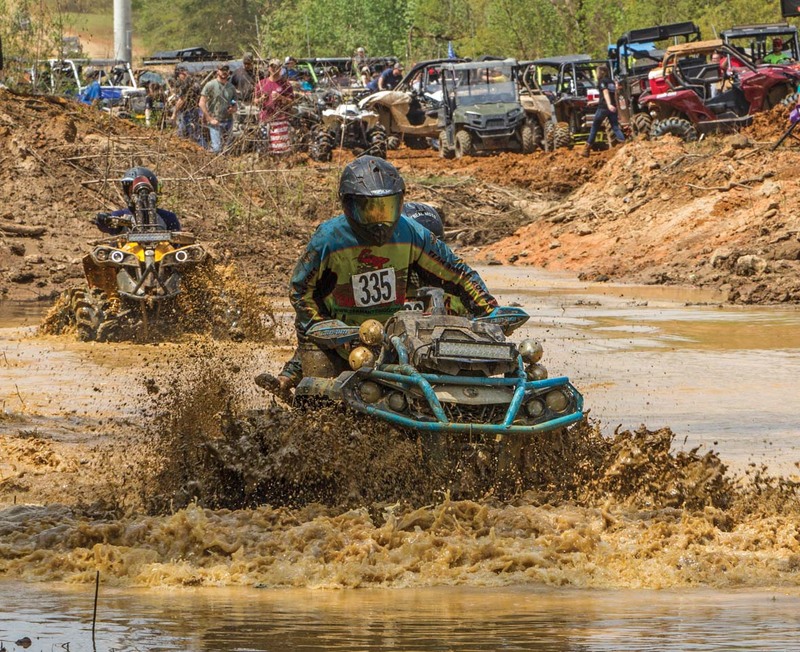 The friendly competition in mud racing is a big part of the High Lifter Mud Nationals and it was definitely attracting some very fast machines during the Arctic Cat Mudda-Cross this year. Racers lined the red dirt covered hillsides near the big oval track and fought the weather for a chance to win not only more cash prizes but also bragging rights. These racers mean business and some shell out thousands to build the baddest rig just for this event. 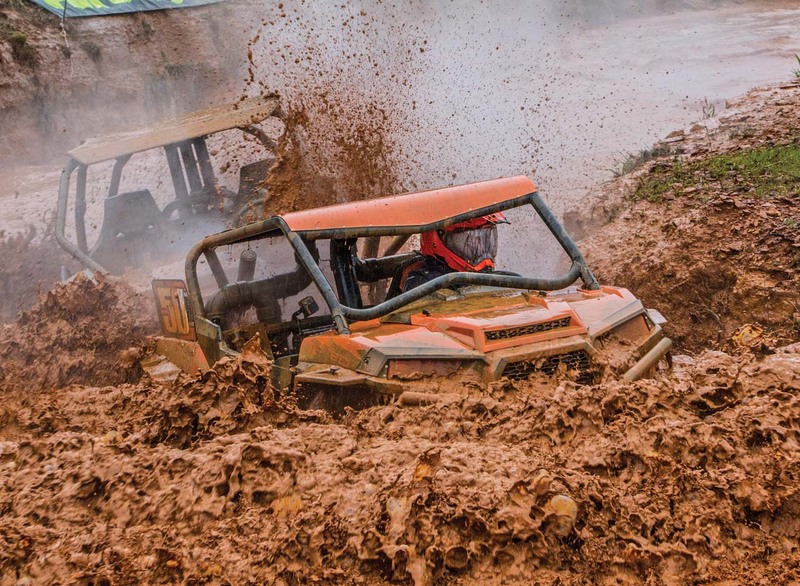 With crazy weather and torrential downpours at times, the competitors never backed down. Having tested the waters with an ATV/UTV exhibition race last year, the MX track was widened up for an all UTV racing session this year. Drivers and teams came out to see if they could tame the course. The crowds were excited to see the number of racecars on the track as it felt like a full-on UTV series race. The success of this second year race was incredible but according to High Lifter president Scott Smith, there should be twice as many next year! If you think you have what it takes, just come on down to Jacksonville, Texas next year around the end of March. Although High Lifter Products does a great job putting together events to keep some mud faithful busy, some just come for the riding and for fun times with old friends. And that’s ok too because that’s how it all got started many years ago. When the sun goes down, you can either ride the trails or on Friday and Saturday nights, you can enjoy popular music performed by well-known artists like Colt Ford. 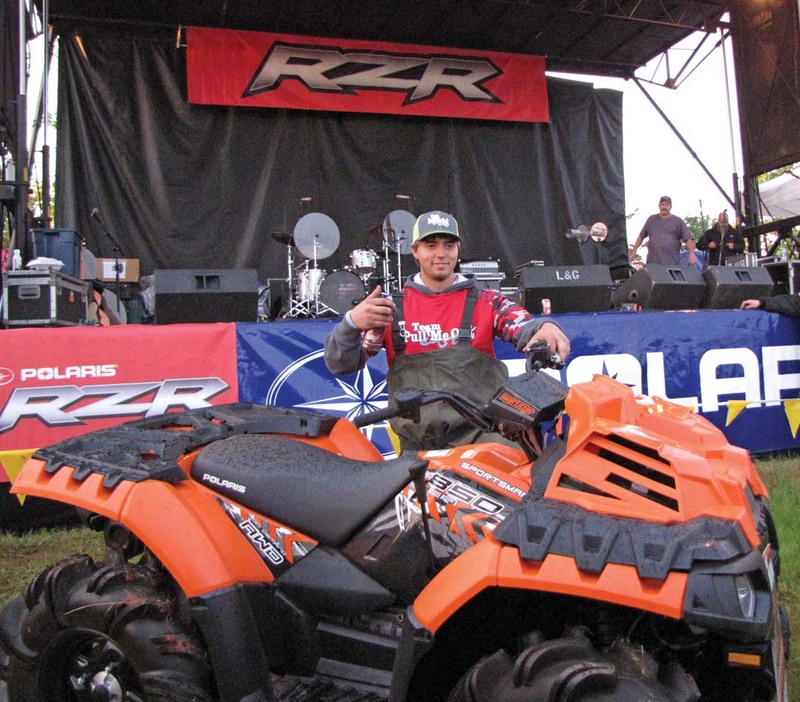 Just before the music started on Saturday night, Dylan Brown won a 2016 High Lifter edition Polaris RZR. From behind the camera, it seemed like the kid felt as if he had won the lottery and it was cool to see his grandfather join him to accept the prize. 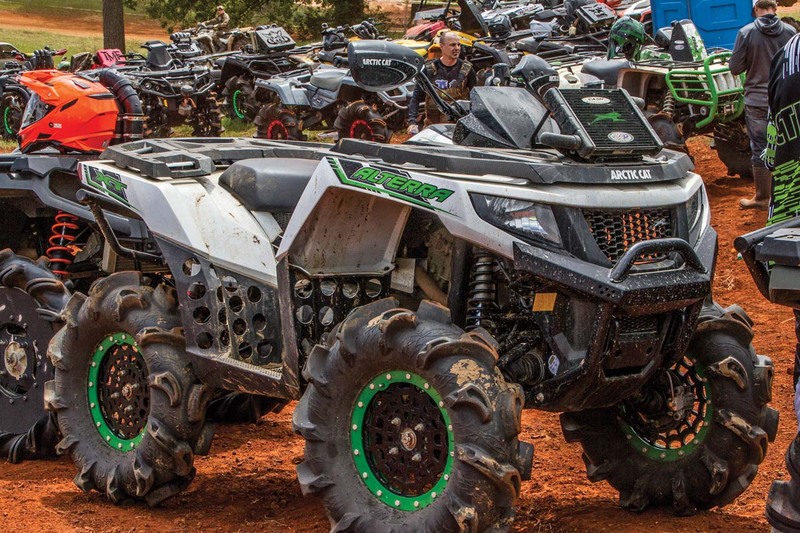 This was actually the second machine giveaway by Polaris though, as on Friday night a High Lifter Edition Sportsman 850 was handed over to Josh Allen. 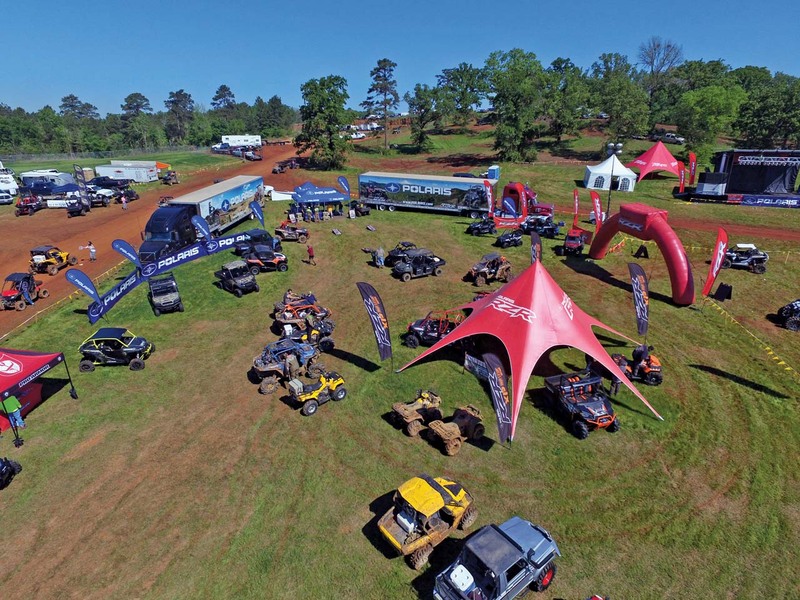 Looking back through the years of High Lifter Products ATV Mud Nationals, you will see a definite trend of growth in the industry. 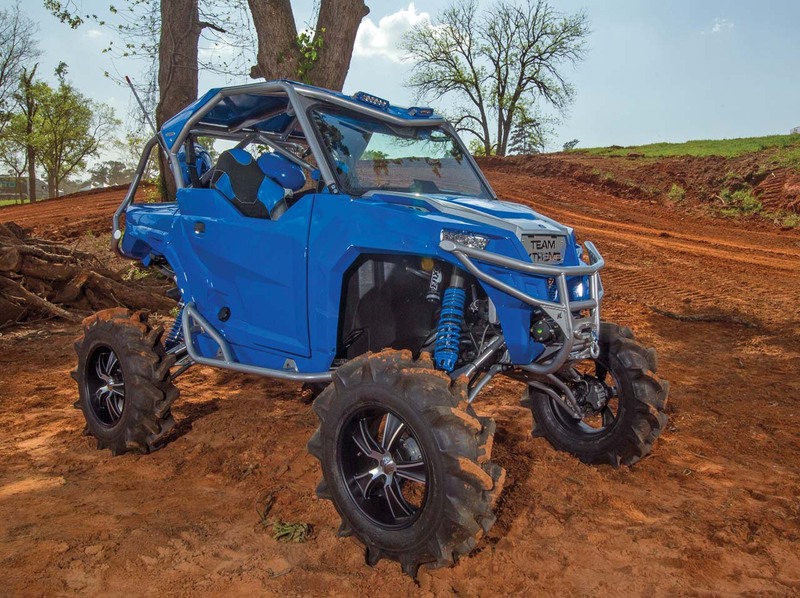 It was the father and son duo of Mike and Scott Smith who had originally fabricated the first lift kit for an ATV and it seems they set trends for others to follow. Most people do not know, but Mike Smith and High Lifter’s Dan Doughty actually suggested and kicked off the very first ATV Mud Nationals. The 2016 High Lifter Mud Nationals would not exist without these folks and for that I am thankful as it drives the industry I thrive in every day. 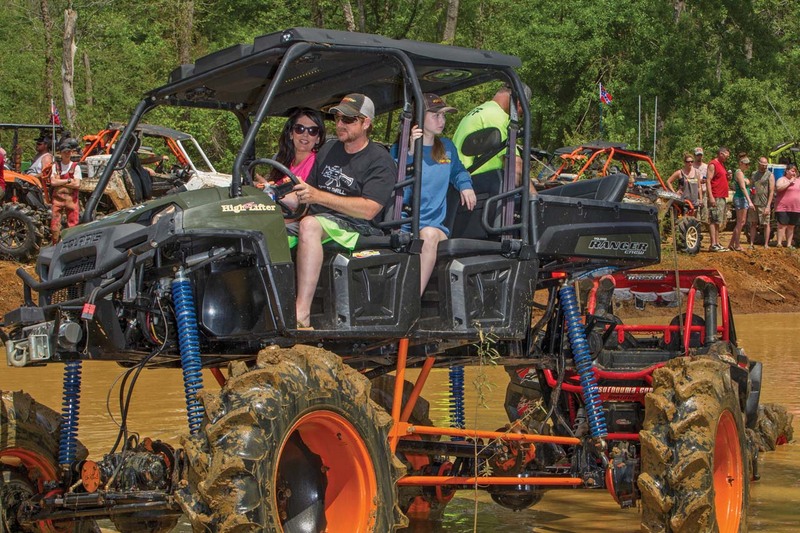 If you have not had a chance to visit with High Lifter during their annual High Lifter ATV Mud Nationals, then you owe it to yourself to do so.